Arthur S. Douglas lived from 1860-1949. He was a first term student (#68) at the inception of the Rhode Island School of Design in October of 1878. Douglas, while a full time student, also acted as an instructor to other pupils at the school. 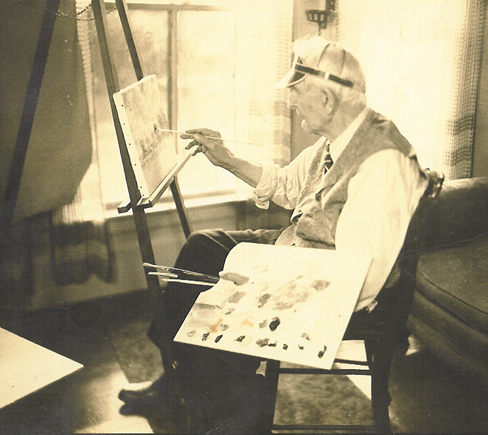 This collection shows the versatility of Douglas as an artist, working in oils, watercolors, and pastels. We hope you enjoy this on-line Fine Arts presentation. Please contact the Driscoll Agency if you have any artwork or additional information regarding Douglas. A Providence exhibit of the collection is now being planned for 2008. If you are interested in joining us for this special event, please advise. The Rhode Island School of Design - the Rhode Island Historical Society - the Providence Art Club, are not affiliated or sponsors of this web site. Joseph M. Driscoll all rights reserved.